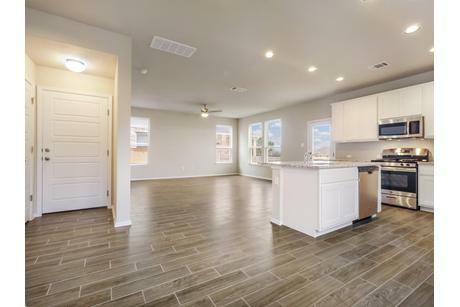 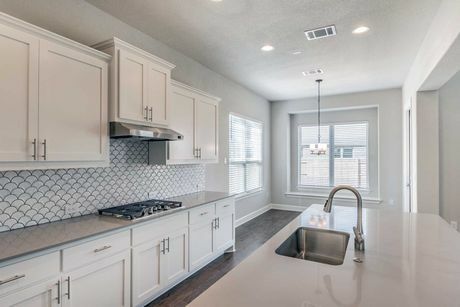 Kitchens in Leander, Texas typically have an open aesthetic. 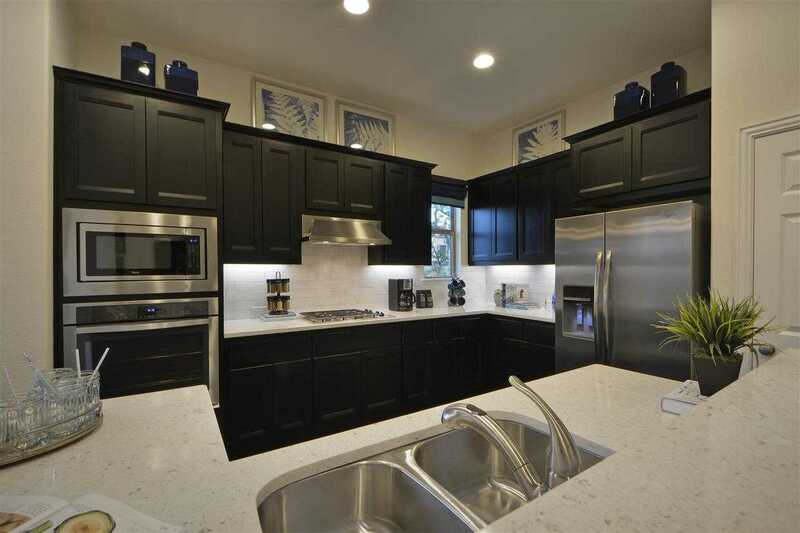 We are seeing many filled with white cabinets with beautiful countertops in granite or quartz. 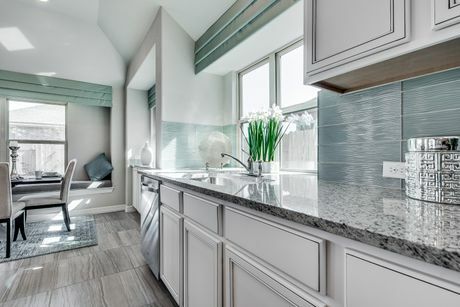 The kitchen backsplashes here come in complementary colors, enhancing the cabinets and countertops. 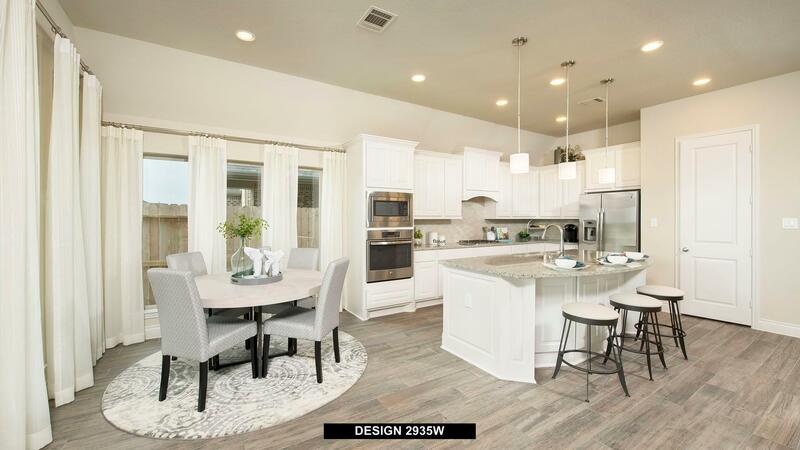 Kitchen islands with modern pendant lights provide extra counter space and seating in Leander, too. 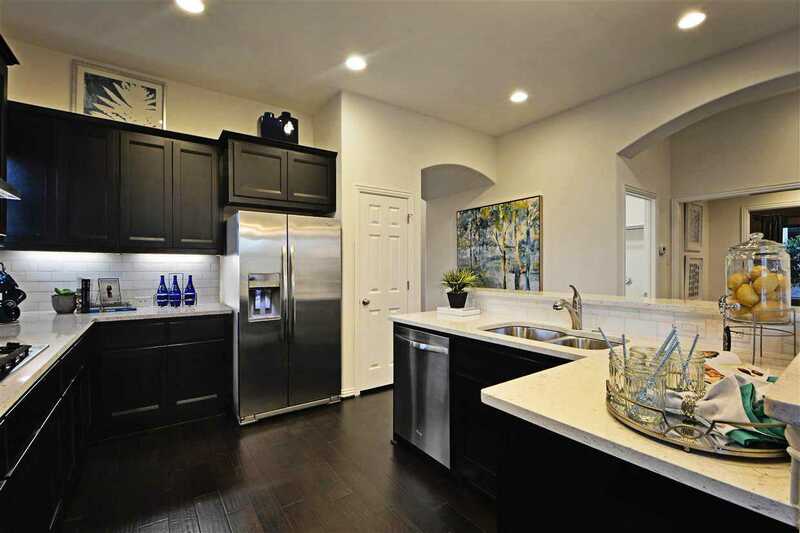 Overall, most kitchens here are set in open floor plans, which makes them great for entertaining family and friends. 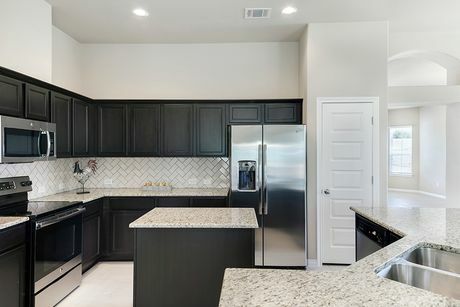 The layouts of new homes have changed to reflect modern living needs – especially in the kitchen. 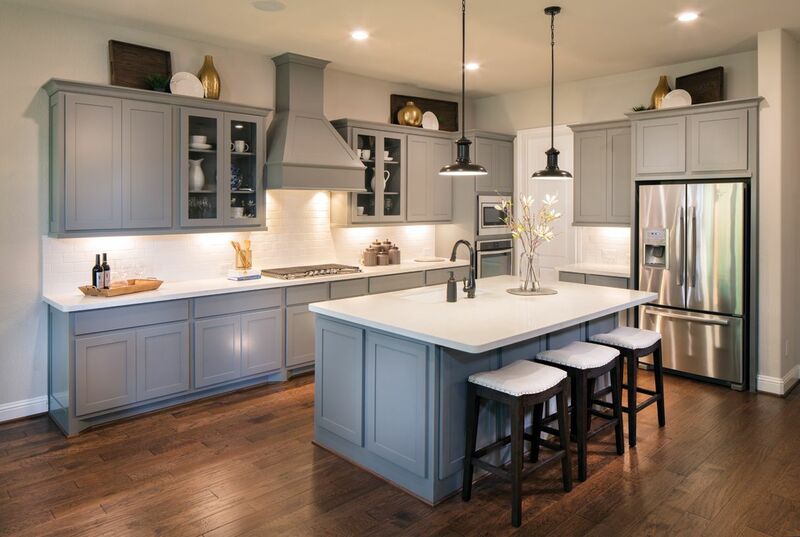 Kitchen designs have transformed from cramped spaces tucked away from the rest of the house into open space entertaining areas. 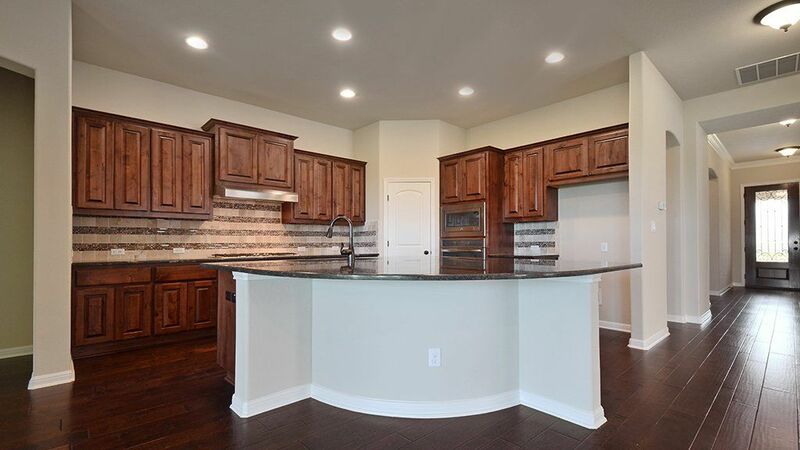 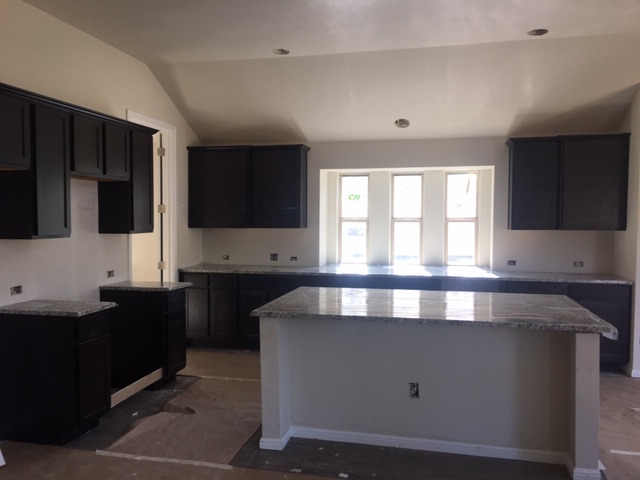 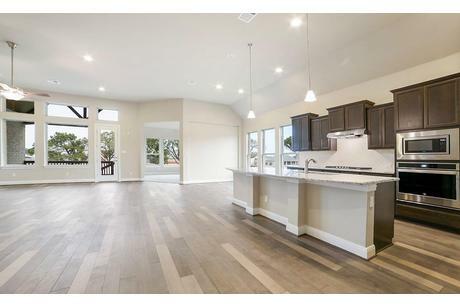 When you buy a new home in Leander you are investing in your dream home and dream kitchen. 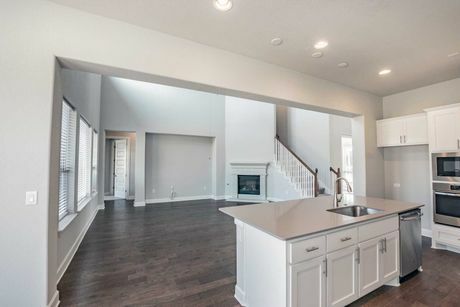 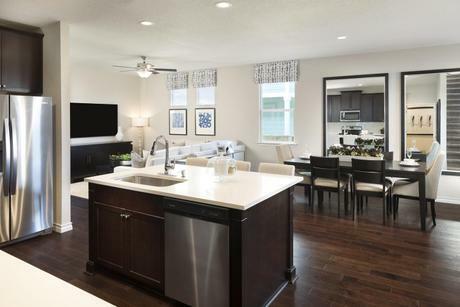 The thoughtful layouts of the 3021 new homes prominently feature airy, modern kitchens. 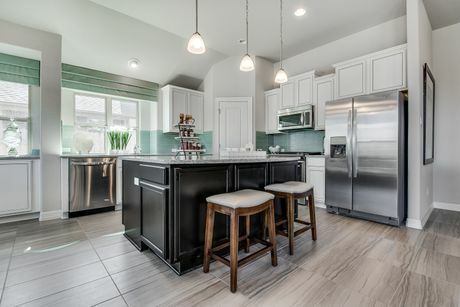 Home shoppers can further customize these beautiful spaces to reflect everything from their preferred countertop and cabinet options to energy-efficient appliances. 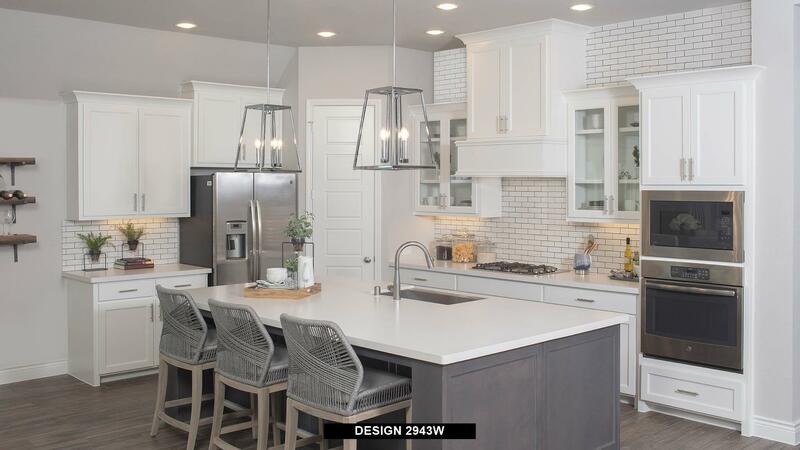 Anyone who loves scrolling through Pinterest for kitchen design inspiration will love using HomLuv to find their dream home. 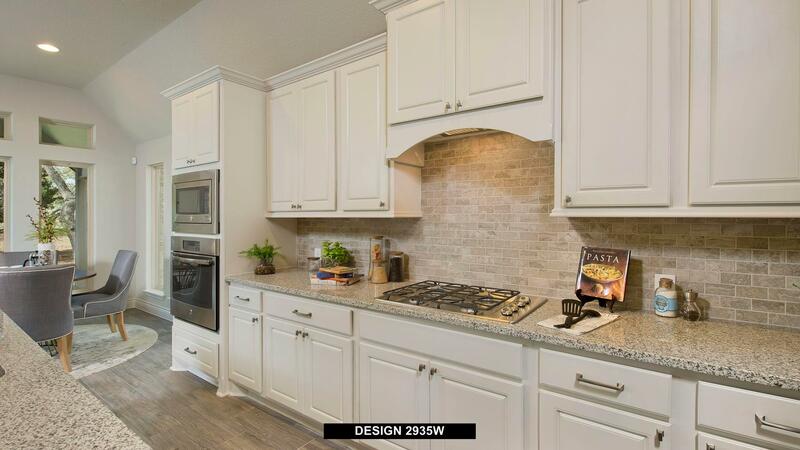 With HomLuv, you can look at beautiful new kitchens, and gather inspiration for small kitchen solutions, kitchen island designs, kitchen backsplash trends, and more! 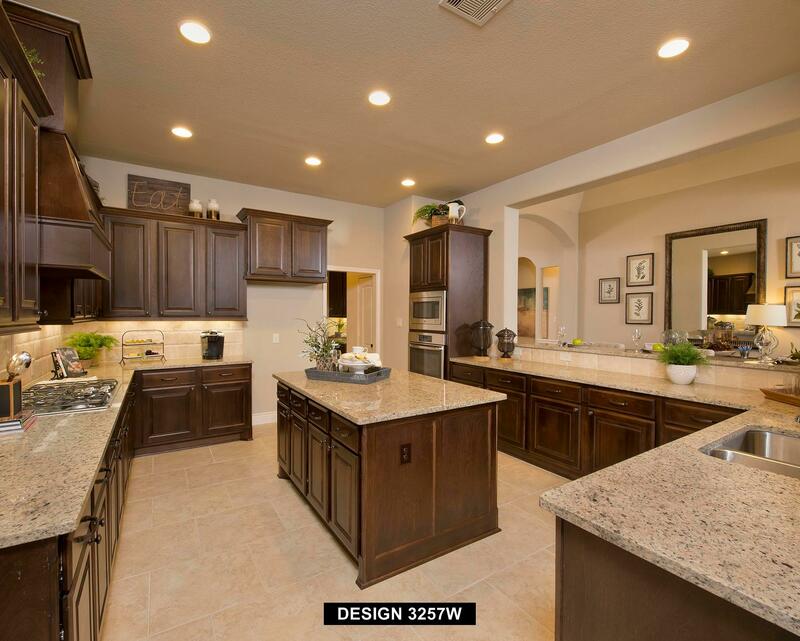 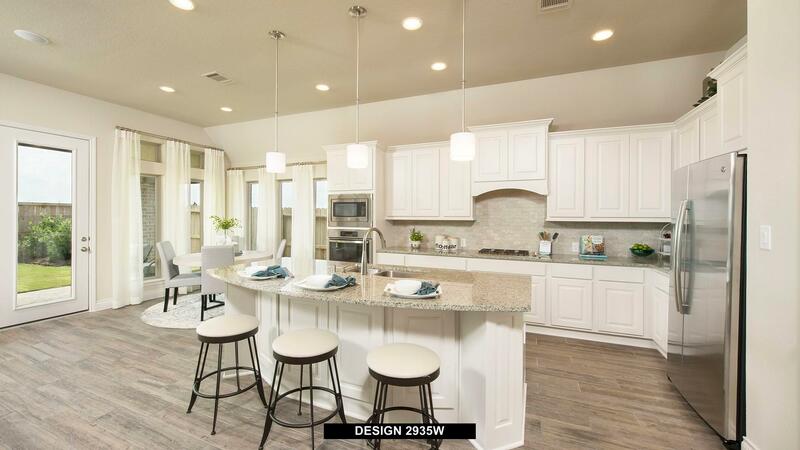 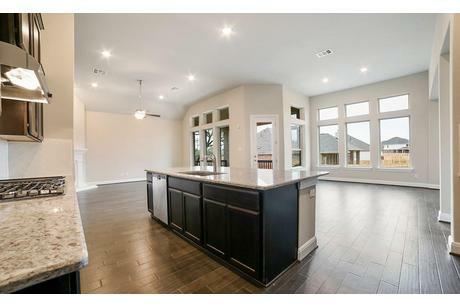 The perfect kitchen that fits your lifestyle is on HomLuv, and the home plans in Leander will make that obvious. 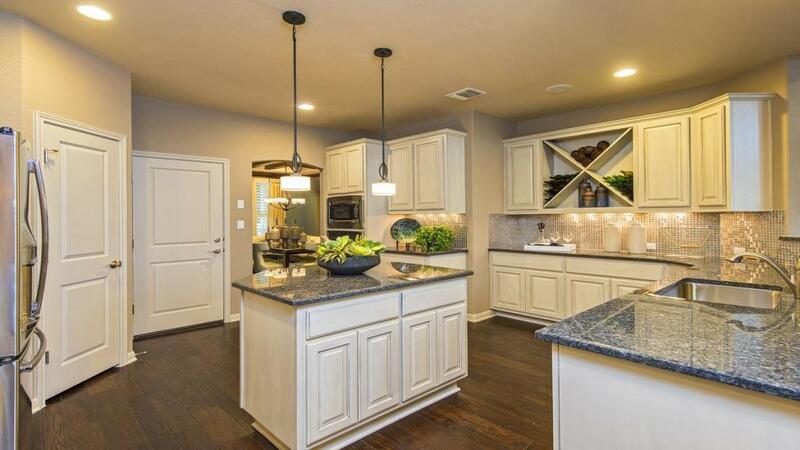 As you explore the new home kitchens in Leander, Luv your favorite images. 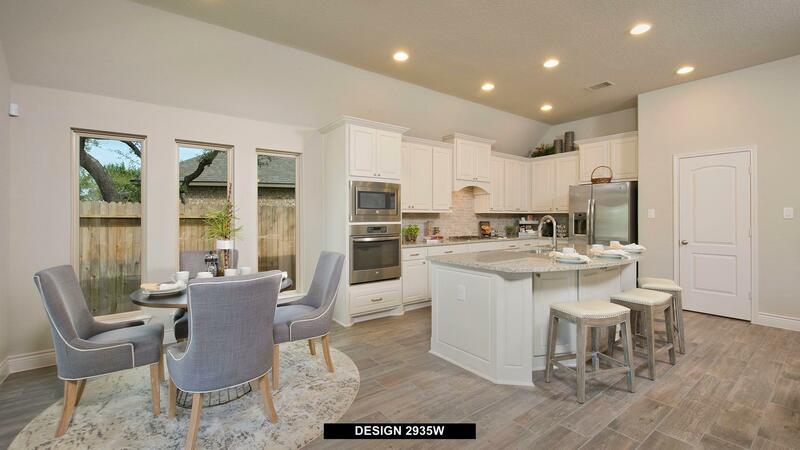 This helps tailor HomLuv search results to better fit your style, and creates a personalized list of home plans that actually contain your dream kitchen.